Presenting the Showtec Par 64 Q4-18 LED Parcan. 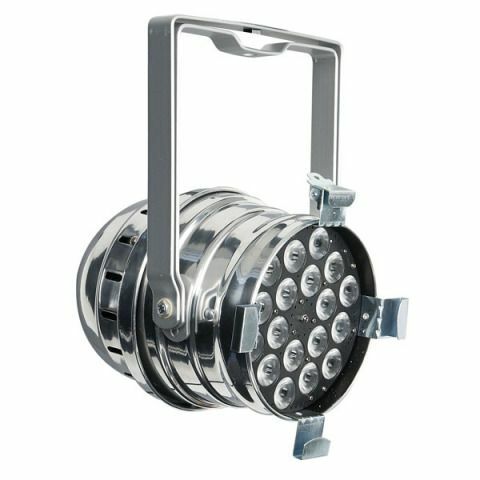 This versatile LED lighting fixture offers RGBW colour mixing in a robust housing with a powerful output. The fixture is made more versatile by the addition of a split yoke - allowing the unit to be rigged off a bar or stand as normal or placed on the floor as an uplighter or similar. The Q4-18 is easily configured using the controls on the back panel and features a range of preset programs for ease of use. 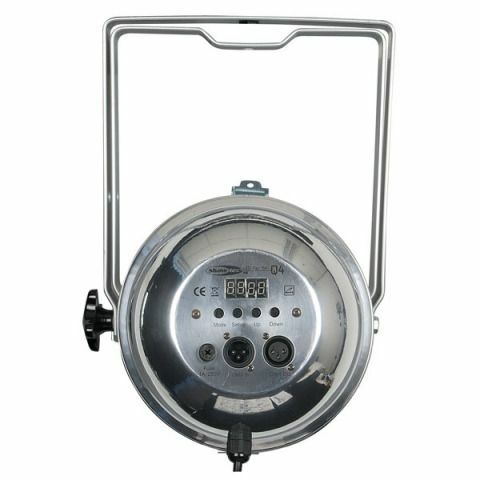 The unit is also equipped with 3-pin DMX in and through and can function in 4, 5 and 8 channel modes.